If you’ve been wondering about how you can take a screenshot on your Kindle, it’s pretty simple. All you need to do is tap the opposing corners (top and bottom) with two fingers simultaneously, such as top right and bottom left. Another way is to press hold a corner and tap on the opposite corner and the screenshot will be taken. The screen will flash akin to what you see in page turns, to confirm that the screenshot has been taken. You can then view the screenshots on your PC. If you don’t want anyone to fiddle with the contents of your Kindle, you can set a security passcode to lock the device. To set a passcode, go to Settings->Device Options->Device Passcode. 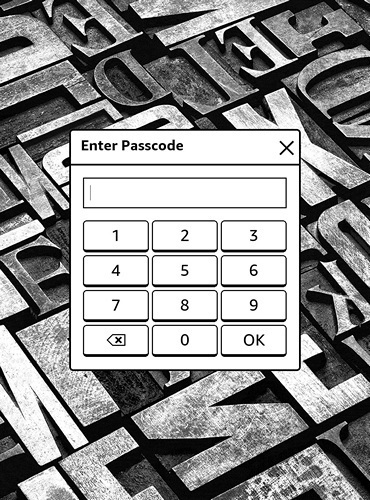 Here, you can enter a passcode, which will make sure your content is protected. 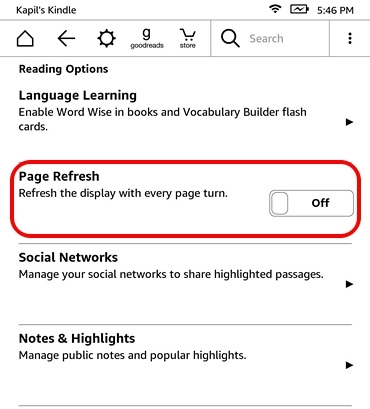 While Kindle automatically does a page refresh after every 6 turns, there’s also an option to refresh the display after every page turn. This makes sure you don’t see the ghost effect after every page turn and also brings cleaner & sharper text. However, it does affect the Kindle’s battery. To turn it ON, go to Settings->Reading Options and enable “Page Refresh“. You can highlight text to save up some quote or excerpt for later use. To do it, just press hold and drag to select the text you want and then, hit the “Highlight” option. You can also choose the “Note” option to save the text with a heading. The highlighted text remains highlighted in the e-book, plus they are available in a separate “Clippings” file. Want to share a quote from a book or an excerpt, Kindle includes Facebook and Twitter integration for easy sharing. 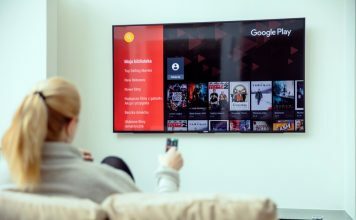 All you need to do is connect your accounts to the device. To do it, go to Settings->Reading Options->Social Networks and link your Facebook & Twitter accounts. Once you have connected your accounts, you can simply select a text from a book and hit the “Share” button to share it on the social networks. Kindle displays a section of recommendations on the homescreen and if you would like to hide that, there’s an option for that. 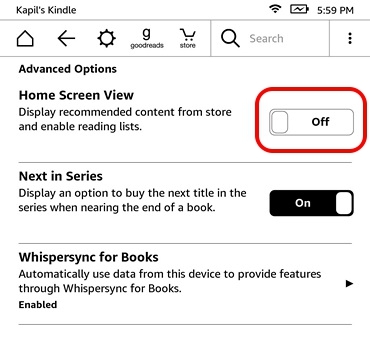 You can head over to Settings->Device Options->Personalize Your Kindle->Advanced Options and turn off “Home Screen View“. If you plan on buying a lot of books on your Amazon Kindle, it’s important that you create collections to keep things sorted. 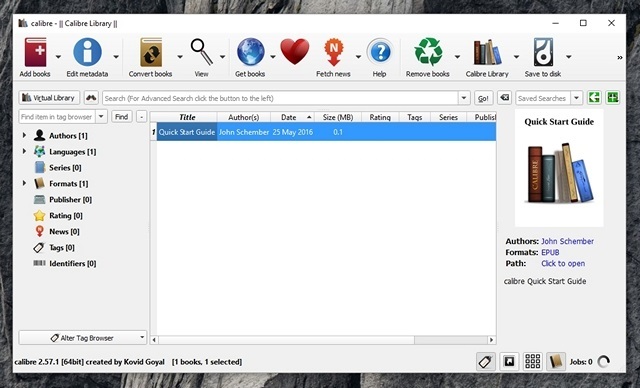 As the name suggests, collections lets you sort books based on your interest or genre. To create a collection, just hit the three-dot menu button on the top right in the homescreen and tap on “Create Collection“. Then, give your collection a name and add the books you want in that collection. That’s it and you should see your new books collection on the homescreen. Unlike what we have come to expect from modern day operating systems, display settings on the Kindle can be a little tough to find. Also, the display settings in Kindle pack in some important functions like the ability to change text size, font, orientation, text spacing, margins and reading progress. To check out the display settings, open a book and tap on the top to open up the navigation bar. Then, tap on the text icon “Aa” alongside the share & bookmark button to open up display settings. 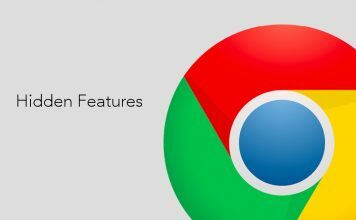 Here, you will find different tabs for font, page and reading progress. Planning to sell your Kindle and looking to clear off your data or your Kindle has run into a problem? Well, you can always do a factory reset to shake things up. 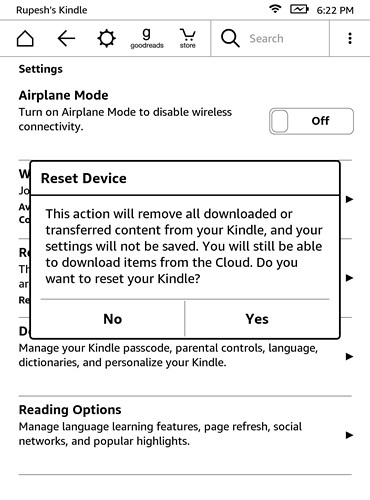 Once you reset your Kindle, your account, settings, all books will be deleted from the device and you will have to download them again from the cloud. If you are okay with all that and still want to do it, hit the three-dot menu button on the homescreen and go to Settings. In the Settings page, hit the three-dot button again, where you will find options to Kindle Store, update your Kindle, restart, reset device, device info. Select “Reset Device” and press “Ok” when prompted and your Kindle should be wiped to new. If your Kindle feels a little laggy or has just hanged up on you, you can force the device to restart, to fix things up. If your Kindle is just working on the slower side, simply restart the device by press holding the power button to bring up the power menu and selecting “Restart” to fix things. If your Kindle is just stuck, you will have to press hold the power button for around 40 seconds to force restart the e-reader. The Kindle devices already have a great battery life, which makes modern day smartphones look like power hungry monsters. 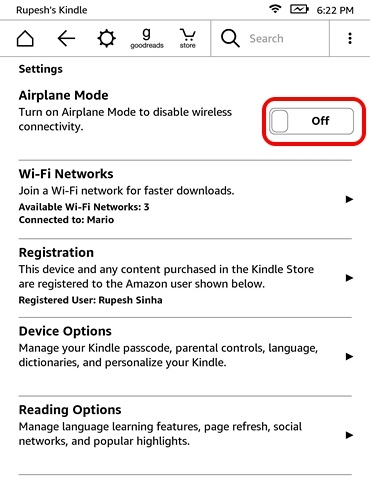 However, if you want to get more juice out of your Kindle device, you can do so by enabling Airplane mode, when you aren’t downloading anything from the cloud or the Store. You can also tune the display’s brightness to minimum and turn off Page Refresh to increase battery performance. 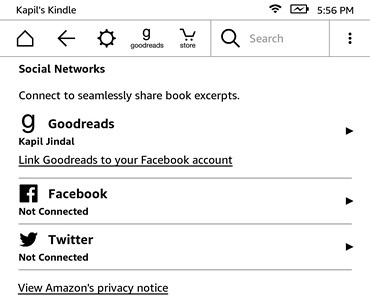 While Kindle Paperwhite lacks the ability to run Android apps or games, Amazon offers some “Active Content”, which is nothing but apps and games designed for Kindle’s e-ink displays. There are some cool games like Sudoku, Every Word, Jungle Juice etc. that you can install on your Kindle. 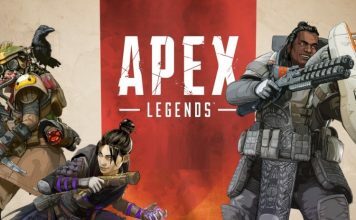 All you need to do is head over to Amazon.com’s Kindle Store and search for active content, go to an app or game and select “Deliver to” and choose your Kindle device to get it on your e-reader. Amazon makes it super easy to send web articles, text, documents and even eBooks from your other devices through the Send To Kindle app. It supports Kindle’s eBooks formats like MOBI, AZW, along with other file types like PDF, DOC, DOCX, HTM, RTF etc. 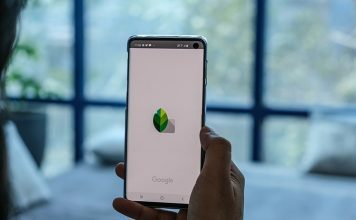 It also supports image files like PNG, JPEG, GIF and more. Along with these apps, you can even send these files through email directly to your Kindle. When you login from your Amazon account, Kindle automatically creates a Kindle email account for the purpose. For instance, you have an Amazon account with the email [email protected], a [email protected] account will be automatically created. 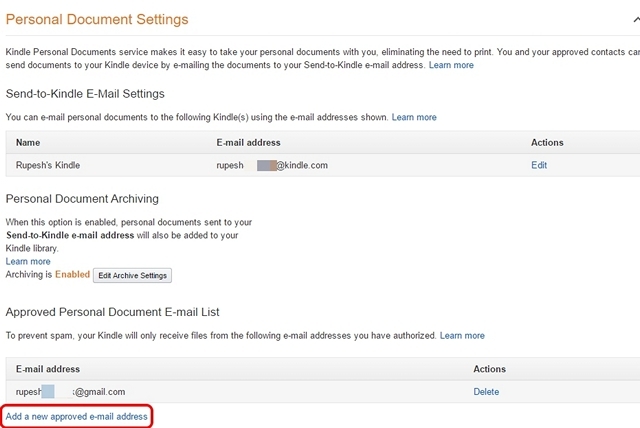 However, before you or anyone else starts sending files through emails to Kindle, you will have to add their email ids to “Approved Personal Document Email List“. Once the email account is added, you can easily use to send documents, eBooks etc. by just attaching them. If you have free eBooks downloaded on your PC, you can transfer them easily to your Kindle. One of the most common eBook formats across the web is ePub and since the Kindle does not support the ePUB format natively, you’ll have to use the Calibre software to convert and then transfer the eBook to Kindle. 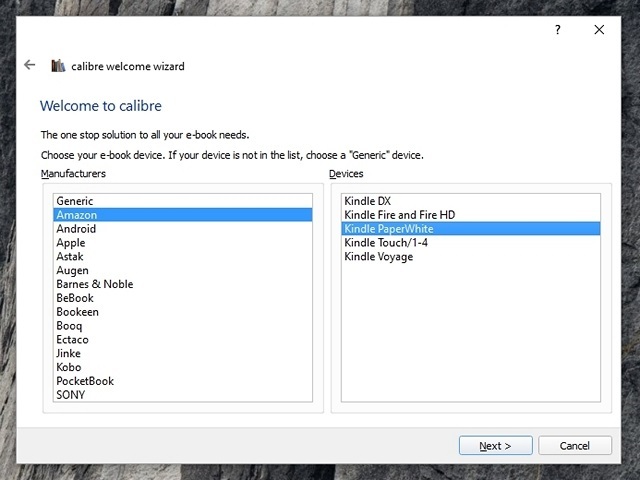 When you install Calibre on your Mac or Windows PC, it asks you for the e-reader and you are using. 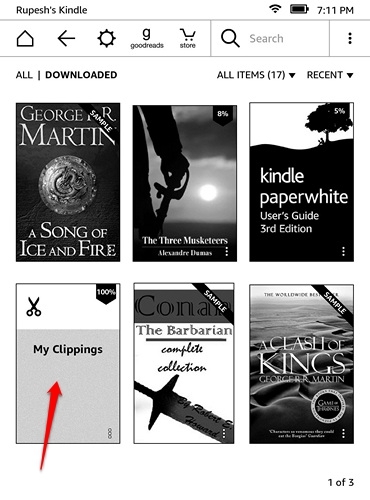 Once the software is set up, you can add books and convert them to Kindle’s native MOBI or AZW format. Then, you can send them to your Kindle through Calibre’s built-in email service or send them manually. Pretty easy, right? When you hit the three-dot menu button on books in the Kindle homescreen, you get the option to “Remove from Device“, which does not really delete the book, since it’s still available in the cloud. To delete content from the cloud, you will have to go to Amazon.com’s “Manage your content and devices” page and delete the books and other content from there. Ready to make the most out of your Kindle experience? These are some pretty basic yet useful tips and tricks for the Kindle e-reader devices but if you love to tinker, you can get more by rooting the device and unlocking a whole new world of features. However, we wouldn’t recommend that to a new Kindle buyer. 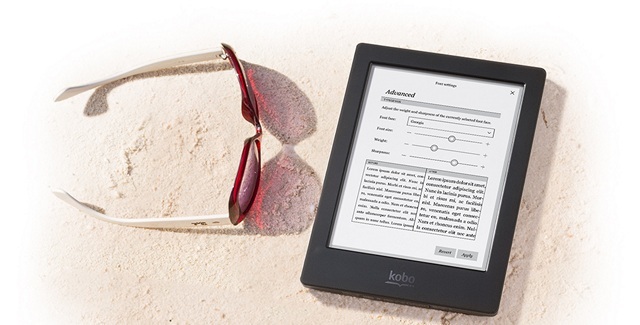 So, for now, try out these tricks and let us know if you need any help using the Kindle. Sound off in the comments section below.